Do you enjoy fresh strawberries with your morning cereal or as a snack, but are without a garden? 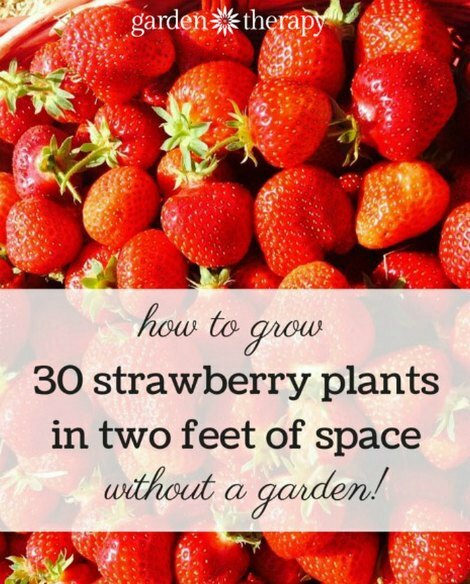 You are in luck as you can easily grow 30 strawberry plants in 2 feet of space using a suitable container. If you want strawberries that are superior to store bought, then this method is worth considering. The best way to start this task is to find out exactly what you need. You will need a grow bag or a good type of hanging planter, suitable soil, and strawberry plants. The look of the container or grow bag will seem a little pitiful to start, but you will be able to grow 30 strawberry plants in 2 feet of space in no time. This is an reliable way to have a good supply of fresh fruit without having to plant a garden. You will be surprised at how easy it will be for you to grow so many strawberries.